Yourartisonfire ran at Sandown on Wednesday night in the seven furlong handicap, Martin Harley rode. 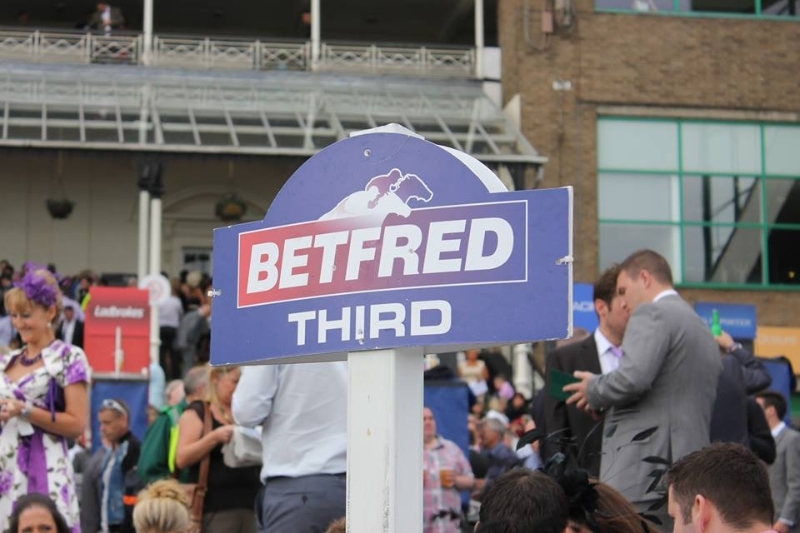 There were only four runners as two has had pulled out of the race during the day. Yourartisonfire was still the outsider of the field in this tricky contest. From the stalls Martin jumped the horse out well and he sat in behind the leader and was nicely settled. The order did not change for the entire race until the leader reached the two furlong pole when Martin pushed Yourartisonfire forward and he soon took up the running. 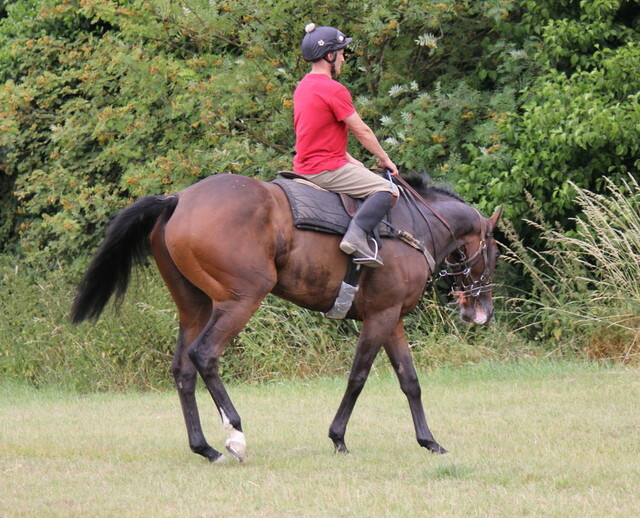 The dash for home started and Yourartisonfire went a half length up. The horse on his inside responded and the lead stayed the same all the way until the final half furlong. 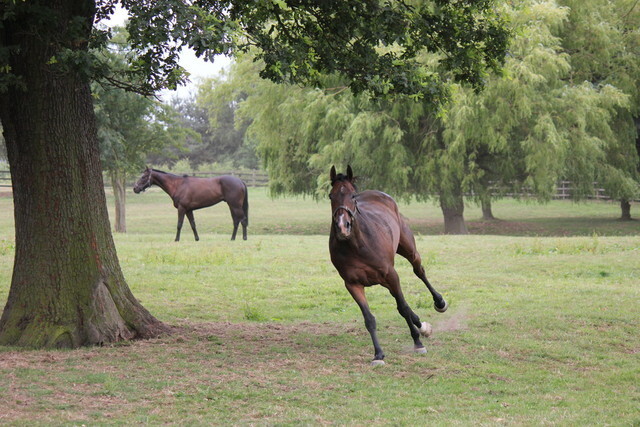 The two horses that had been tracking tried but could never get on terms. Martin and Yourartisonfire were in full stride and the horse kept finding for pressure and went clear by two lengths near the finish winning comfortably in the end. A really great performance and he looks to be improving still. 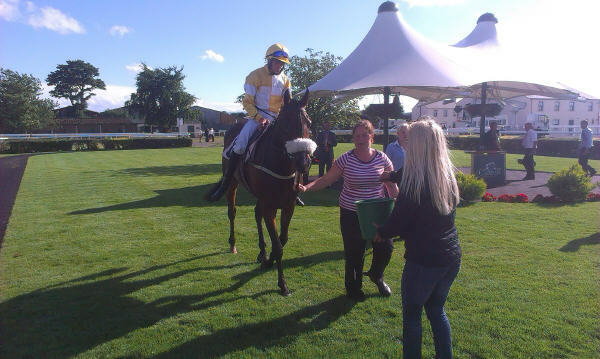 Well done to all connections, this horse has never been out of the prize money in all his runs. 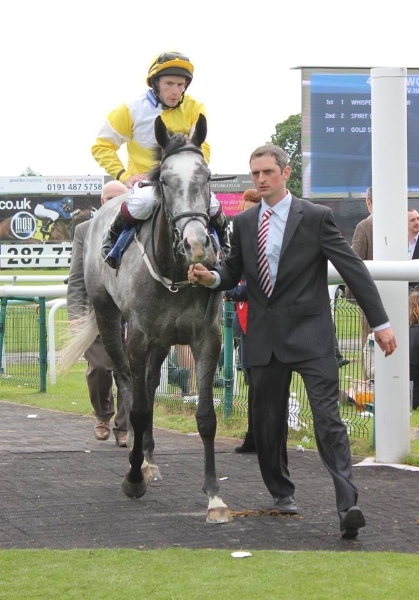 Angels Calling ran on Friday at Thirsk and Robert Winston took the ride in the seven furlong handicap seller. Angels was drawn in stall 6. From the stalls Robert tucked Angels towards the rail. Angels made her way up to sixth place and the pace looked strong. Turning for home the first six horses had drawn a little clear. Angels begun to move forward and all the way up the home straight was getting closer to the leader. The leader had shot clear by a couple of lengths but Angels had weaved through and was chasing hard. She got within a length of the leader but try as she might she couldn’t get any closer and finished second, well clear of the third horse. 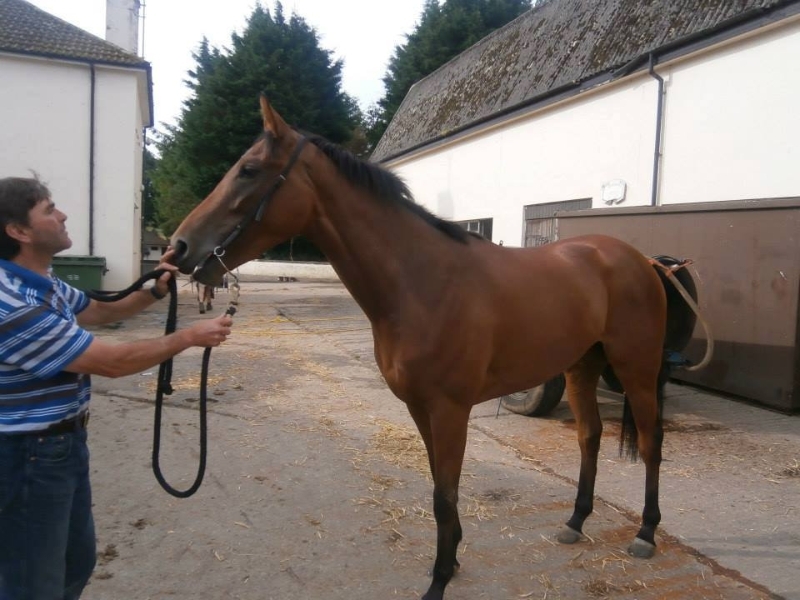 Unsaddling Robert said she had run really well and a bit of cut in the ground would suit her. A much better performance and she looks on a winnable mark. 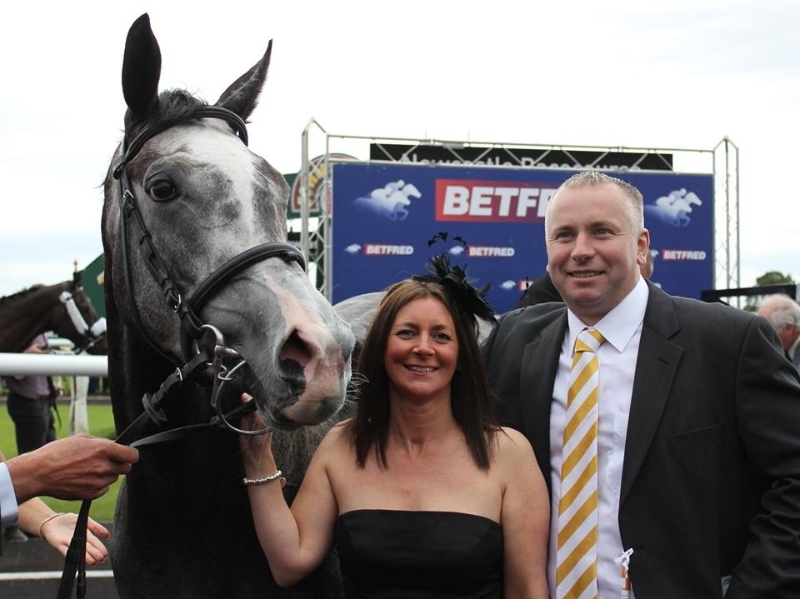 Fast Shot ran on Saturday in the Sky Bet Dash at York and David Allen was back on board. He was drawn in stall 1. Fast Shot broke well from the stalls but seemed to stumble slightly. 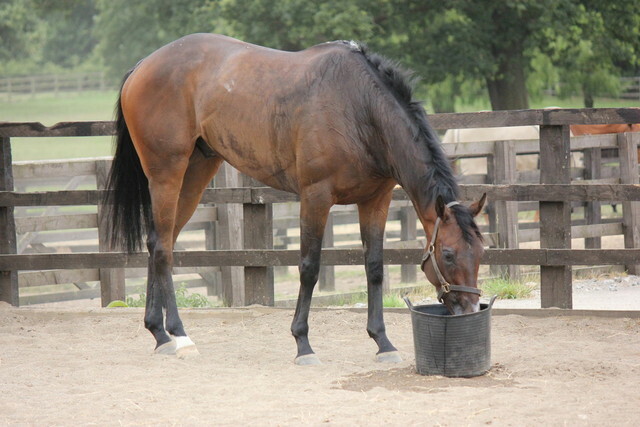 With no cover he seemed to take hold of the bridle and rushed forwards travelling on the outside of the field. The pace of the race was all happening down the centre of the track and David could never get Fast Shot across. Around two furlongs from home David pushed Fast Shot forward but he slightly went towards the far side rail and lost some momentum. David, aware that he was never going to be competitive, allowed Fast Shot to come home without being hard on him. He seemed fine afterwards but the draw beat us here like it did at Newcastle. There will be other days for him. 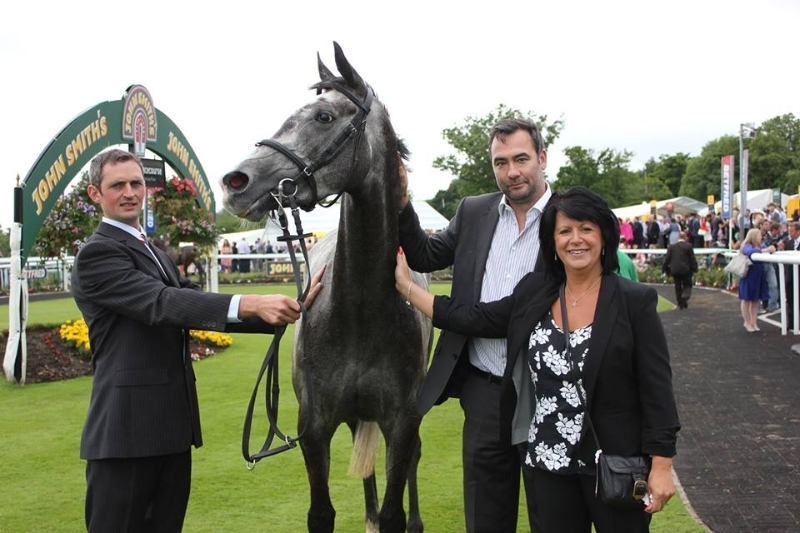 The new horse Teds Brother ran on Sunday at Carlisle and Philip Prince took the ride in the seven furlong handicap. Ted was drawn in stall 10. From the stalls Ted’s Brother seemed to stumble slightly and that put him at the rear of the field. Philip tried to make ground but was pushed out wide. Rounding the turn for home the entire field came across to the stand side rail but Ted was left isolated in the middle of the track. Inside the final two furlongs Ted begun to make progress but the well punted on Brian Ellison horse had grabbed the favoured rail and was making for home. Ted’s Brother closed but racing on the worst ground was just ran out of second on the line finishing a gallant third place, securing third place money for his new connections. A good first start in the Yellow & Whites and he will be winning before long, get involved before he is sold out. 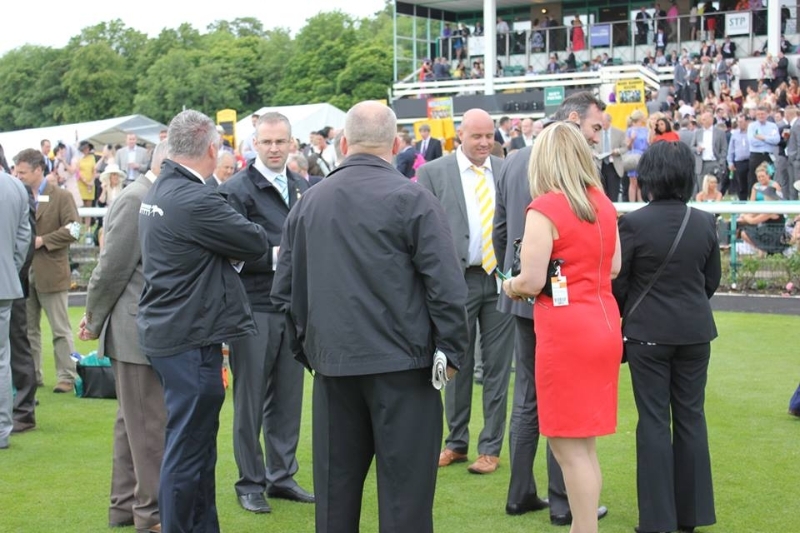 Angels Calling lined up in the Skybet Supporting The Yorkshire Racing Summer Festival Selling Handicap over 7 furlongs today at Thirsk. 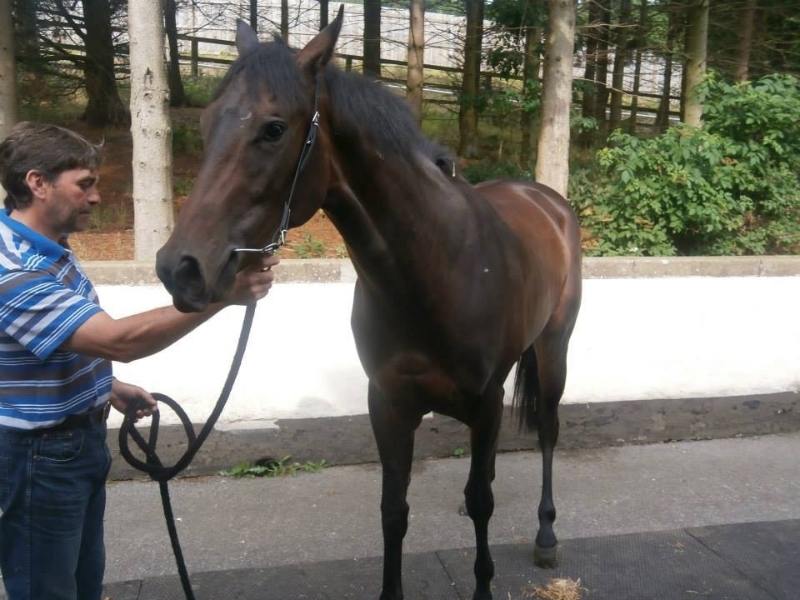 Robert Winston was aboard the Karl & Elaine Burke trained 3 year old filly. She was drawn in stall 6 and was sent off at a price of 16/1. She didn’t break brilliantly and Robert took his time over the 1st furlong of the race and found a nice position on the rail in mid division. Leaving the back stretch, our filly was travelling well and Robert began to move her up the field, into a share of 4th on the turn for home. 2 furlongs from home, Angels was sent after the favourite – at one stage it looked as though she would collar the Barron trained Marcus Ceaser but she couldn’t quite get there and finished a gallant 2nd with the front pair 3 lengths clear of the field. This was a much improved effort from the filly, there are plenty of opportunities for her to win races and its only a matter of time before she goes one better. 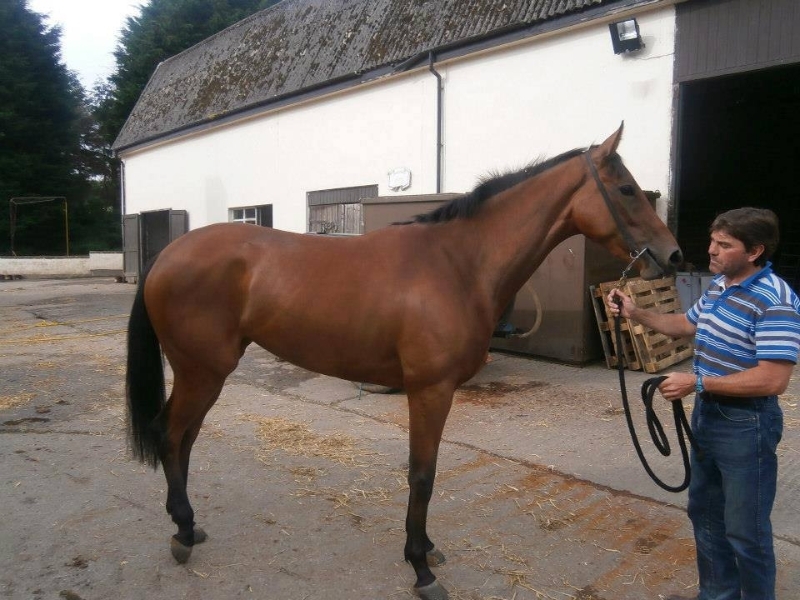 Well done to all of her owners. 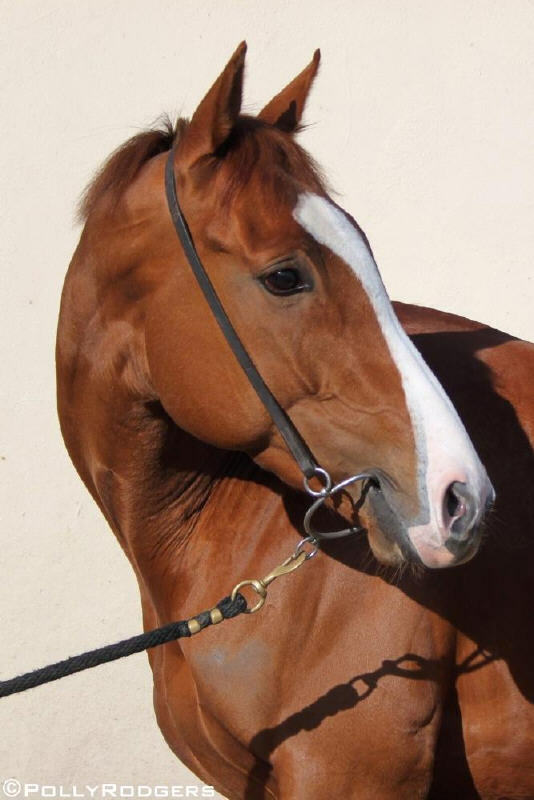 Yourartisonfire ran in the 7 furlong Class 3 handicap this evening at Sandown. 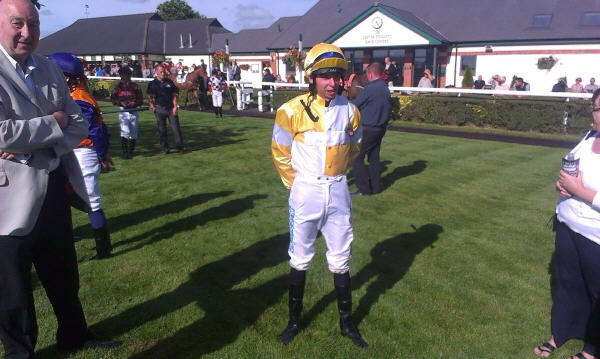 Martin Harley was aboard the Karl & Elaine Burke colt who is co-owned by OnToAWinner, Wayne Rooney & John O Shea. There were 2 non-runners, so the field lined up with only 4 runners for this competitive handicap with Yourartisonfire the outsider of the field, sent off at 4/1. He jumped well and sat in second position with Frankie Dettori happy to set the pace on Secret Rebel with the Sir Michael Stoute trained favourite – Mission Approved held up in last position. 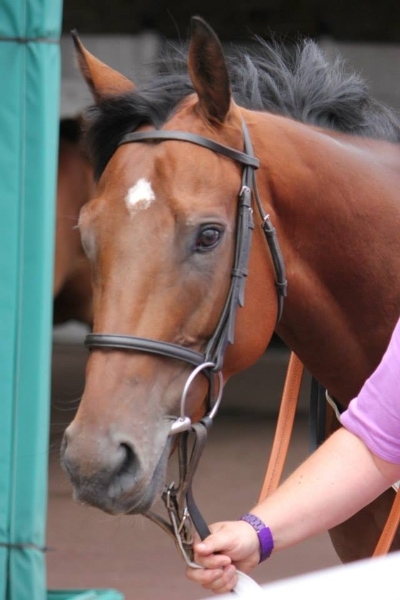 Our lad travelled really well, stalking the leader and taking it up 2 out. 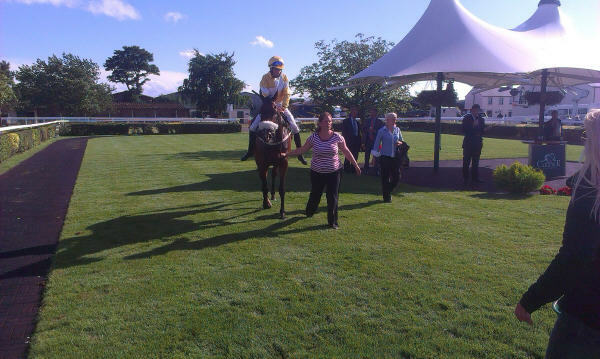 He quickened really well and no other horse could land a blow and he went on to score comfortably by 2 lengths. 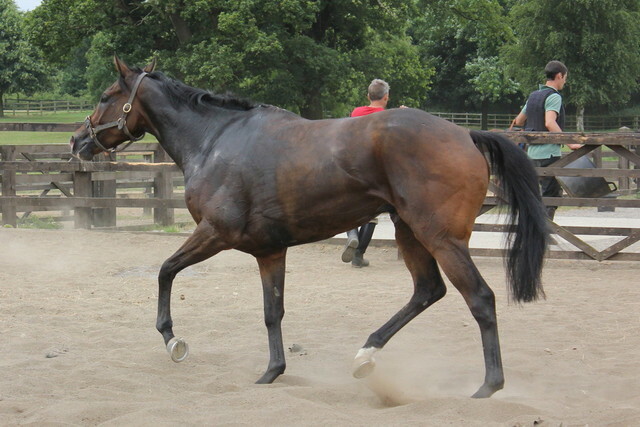 He had been off the track for 48 days and the rest seemed to reinvigorate him. He really deserved this success as he has not been out of the money on any of his starts to date, a model of consistency. 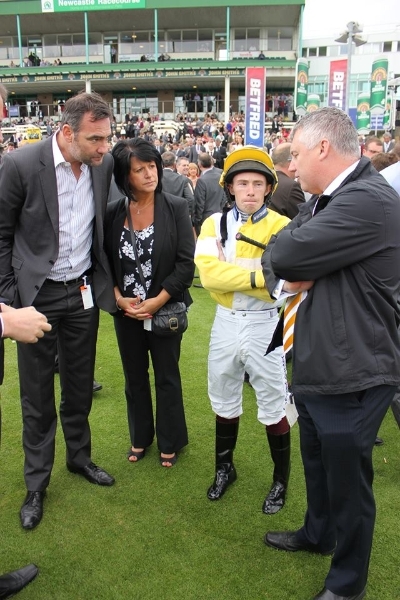 Well done to team Burke and well done to all of his OnToAWinner owners, a great bunch of people who are great supporters of OnToAWinner and deserve all the success that comes their way. 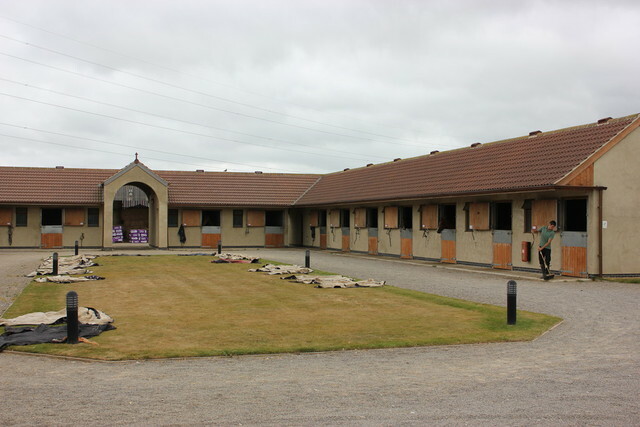 We had a lovely morning visiting Richard Guest’s stables, he has recently moved to the very impressive Ingmanthorpe stables set in 50 acres of Yorkshire countryside at Wetherby. 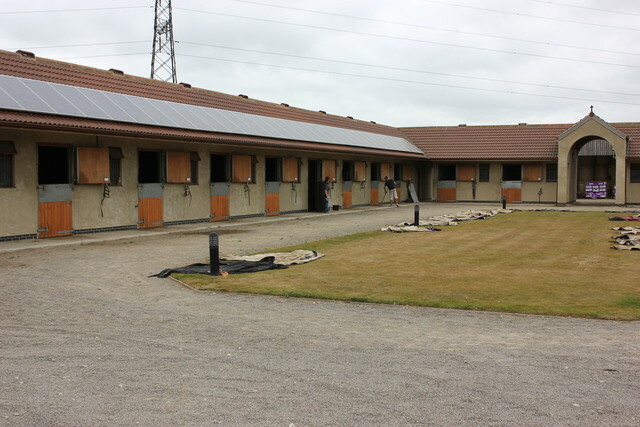 The stables are very modern and have excellent facilities for owners and horses alike. 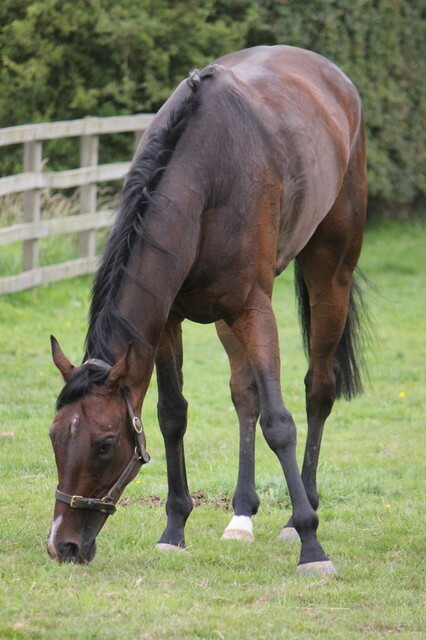 We are delighted to be now be offering shares in Teds Brother. A proven horse. 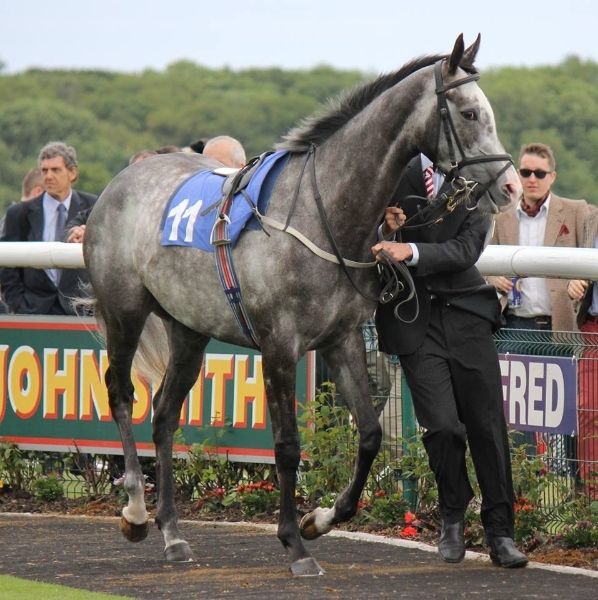 Fast Shot lined up in the Scottish Stewards cup last night at Hamilton. 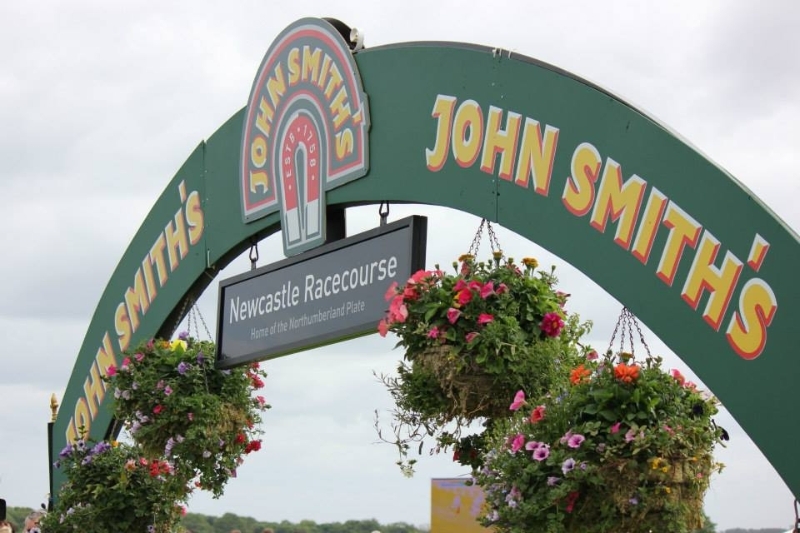 The John Smiths sponsored race is one of the top sprints of the year at Hamilton and the 30k purse attracts the top trainers and jocks. 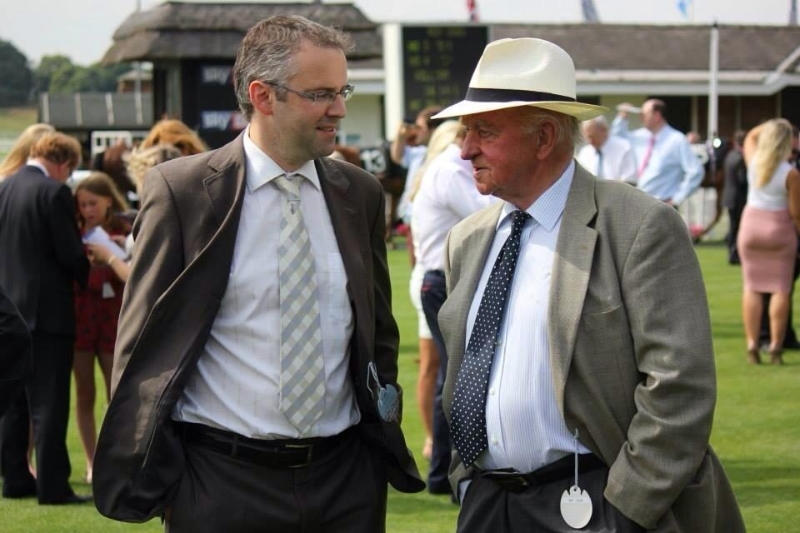 He was drawn in stall 13 and Tom Eaves took the ride aboard the Tim Easterby gelding. He broke smartly, the field split into 2 groups with one going down the centre, Tom kept Fast Shot at the tail end of the nearside group. At the halfway point, Tom asked him to improve and he began to reel in the leaders. 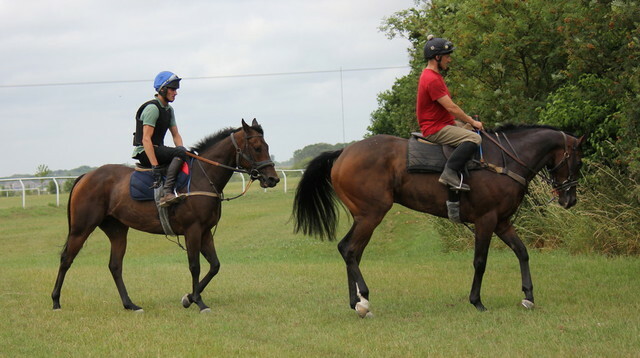 Between the 3 and the 2 furlong makers he began to make serious progress, relishing going by horses. At the furlong marker, Tom was forced off the rail when a gap appeared and Fast Shot didn’t need to be asked twice to go through it. It quickly became clear that this was going to be a close one. A photo finish was called and tension grew at OnToAWinner towers but unfortunately the line came a smidgen too soon and Fast Shot was beaten a short head into second. 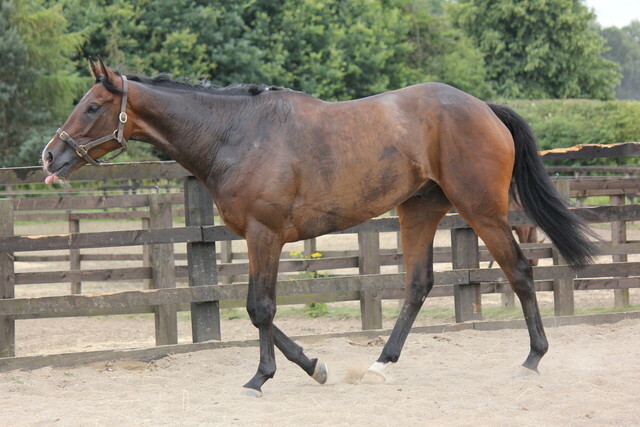 This was an excellent run from our syndicate star. He ideally wants cut in the ground but proved again that talent and the will to win will get you places. 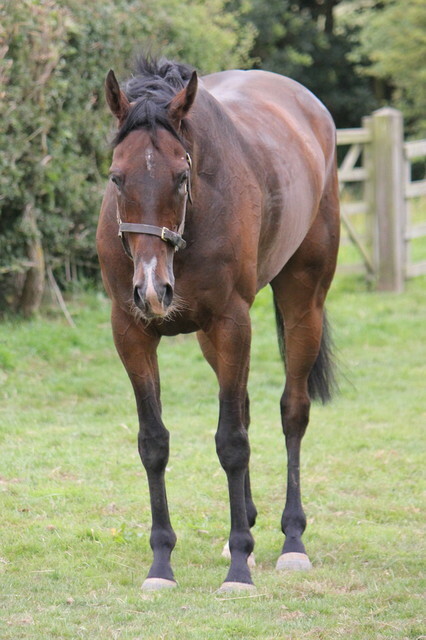 He is in the form of his life and has been placed on 4 of his last 5 starts, winning 6k in prize money for last night’s endeavours. 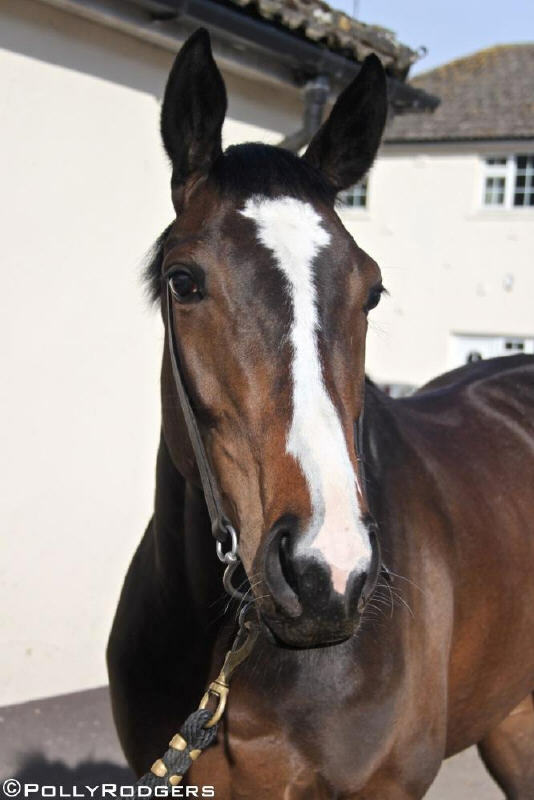 Ticking Katie ran in the class 6 maiden over 6 furlongs today at Ayr. 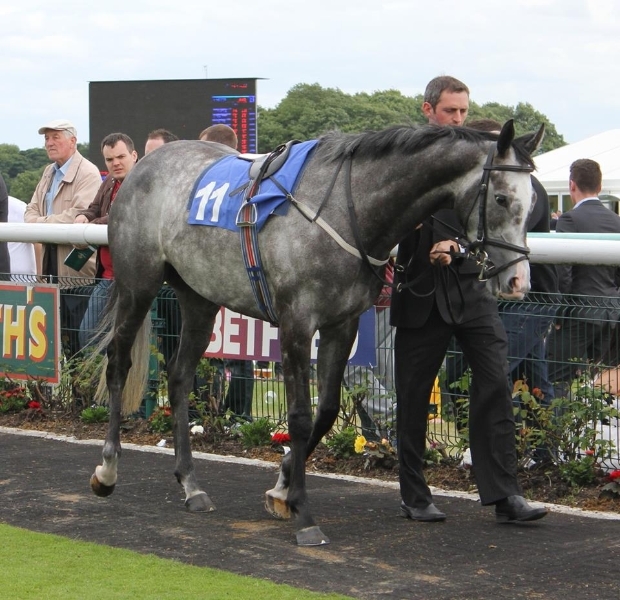 Danny Tudhope was aboard the Karl Burke trained 2 year old . Four runners lined up in the race and Katie was a well supported 6/5 2nd favourite with Broadcaster sent off the 11/10 fav. Katie bounced out of the stalls and grabbed a nice position on the rail , She travelled sweetly and a good battle ensued between Katie and the Broadcaster. Katie looked to be headed at the furlong marker but battled on gamely to go on to score by a neck. 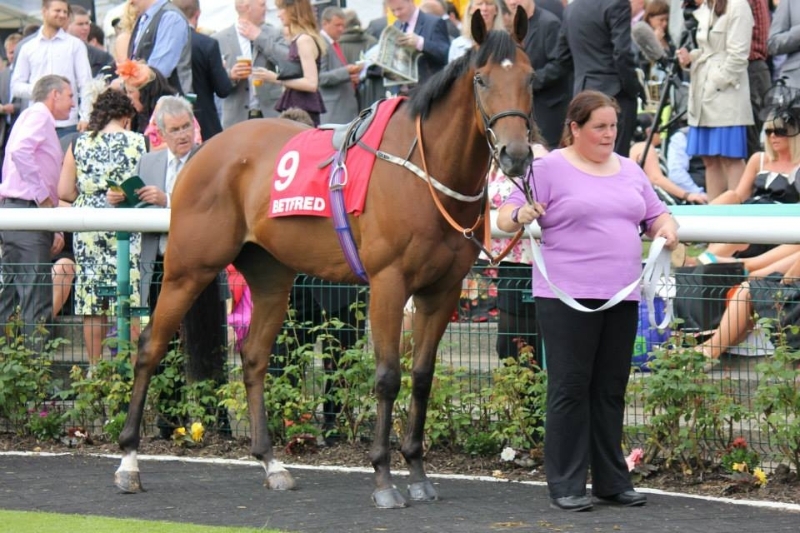 This was Katie's 3rd outing , finishing 2nd on her last start. 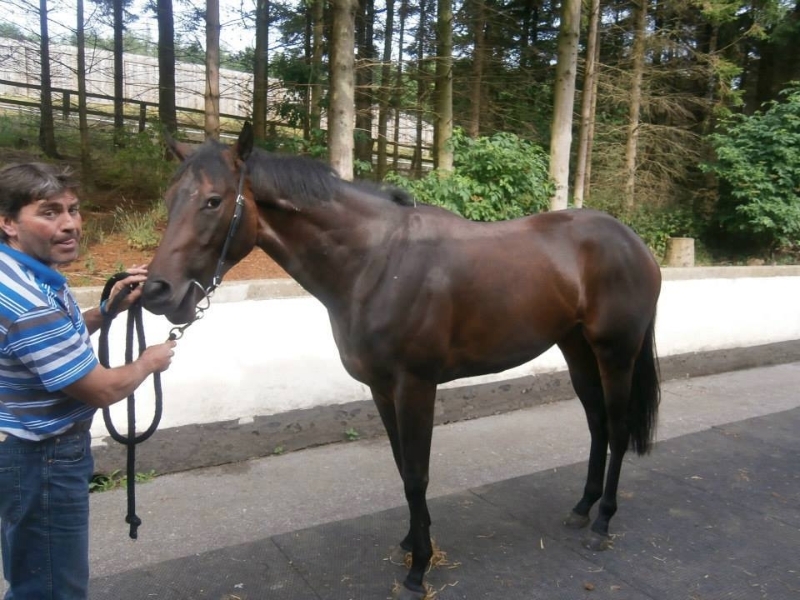 This daughter of Baltic King has a lot to offer and her owners can look forward to more progression. Well done to all involved. winner! 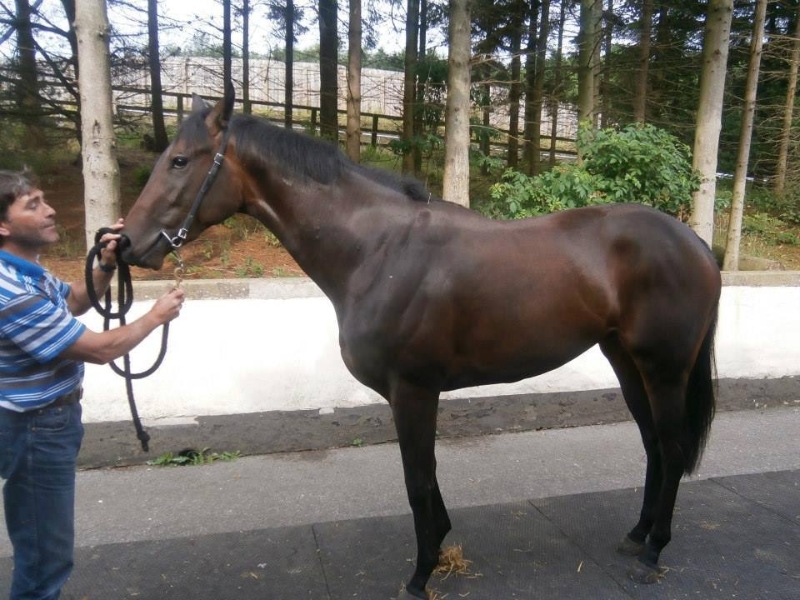 Ailsa Craig ran at Catterick on Wednesday in the one mile four furlong handicap and Kevin Stott rode, the ground was good/firm which was fast enough for her. Even over this long a distance at Catterick the draw can be important. In stall 12 it was always going to be difficult to get a prominent position and having slightly missed the break Ailsa had to work to get a decent position. 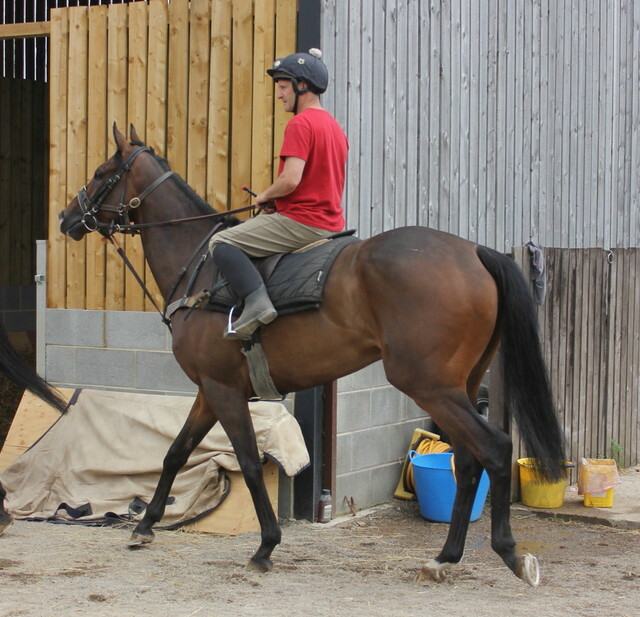 She settled in mid pack for much of the race travelling nicely. As the field turned for home she was caught slightly wide and when the leaders sprinted for home she was then caught flat footed. She responded by staying on at her one pace finishing 4th but beaten just over 2 lengths for 2nd. 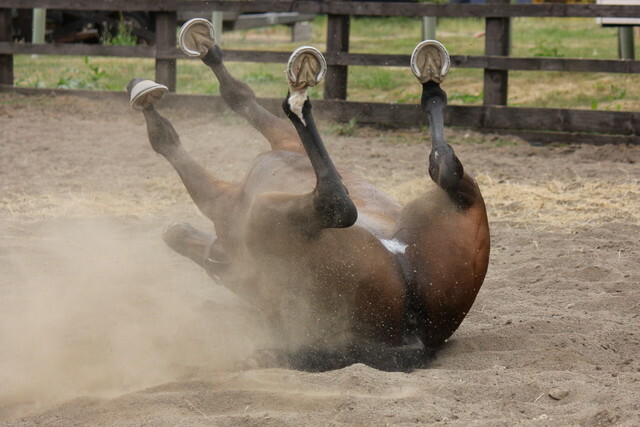 Unsaddling the jockey said she needs a bit of juice in the ground and a flatter track would help her. 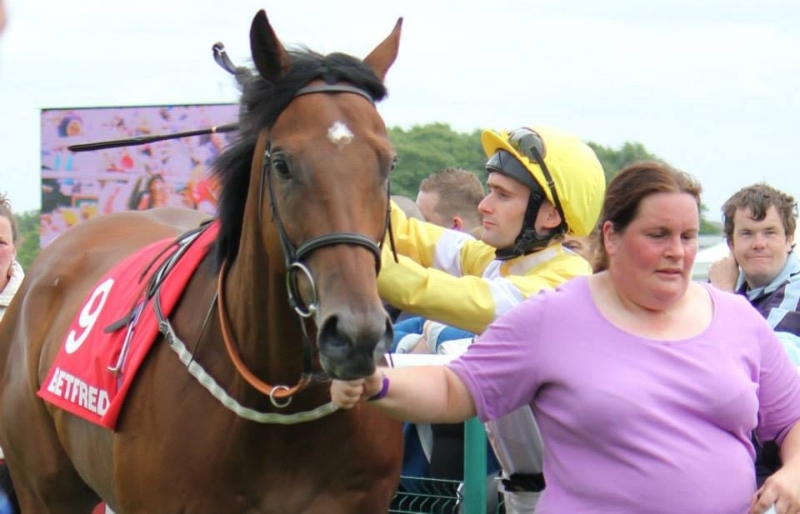 Burnhope ran on Thursday at Haydock in the six furlong handicap with James Doyle taking the ride. 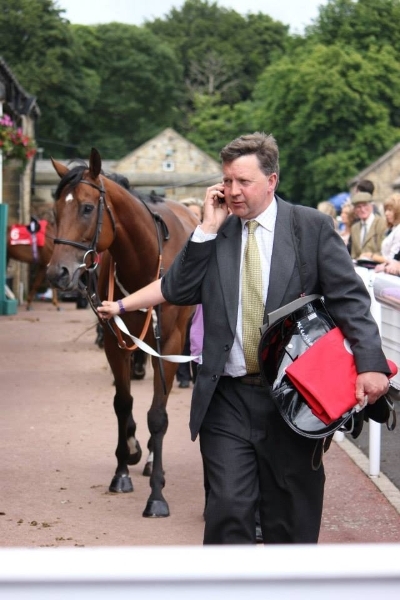 Burnhope broke well and was disputing the lead for much of the first 4 furlongs. 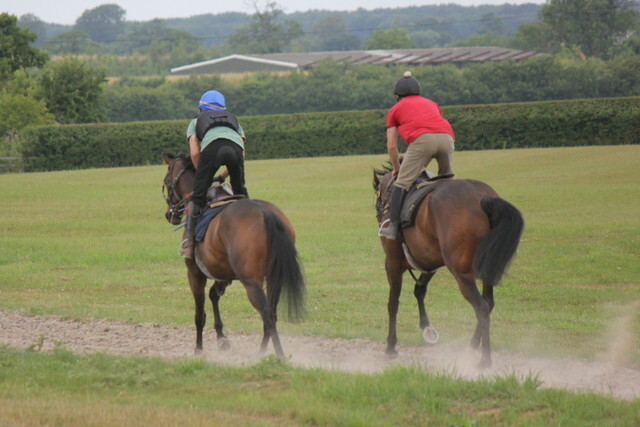 Just over a furlong from home he took up the running again but he was immediately challenged on both sides and inside the final furlong he looked to get a little squeezed for room as another horse came across him. Inside the final furlong James allowed the horse to come home in his own time, finishing 7th. 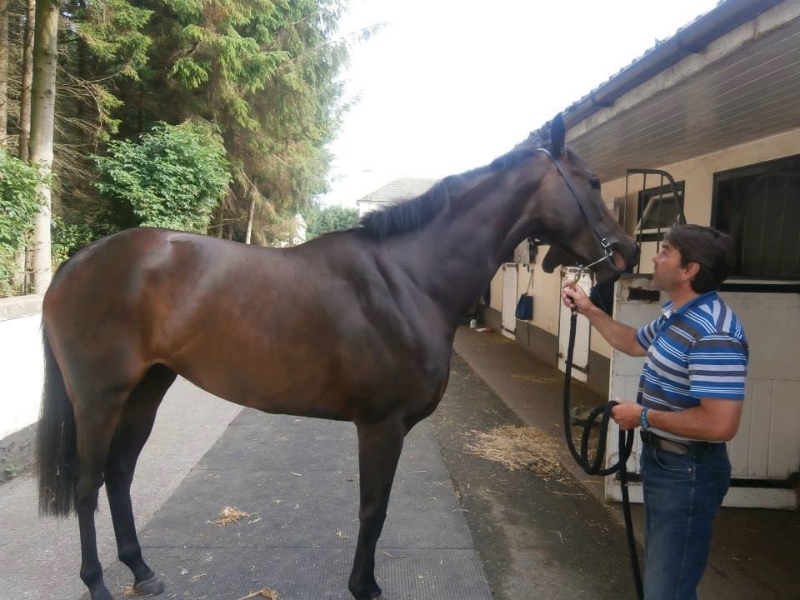 Unsaddling James felt the ground was loose on top which didn’t suit the horse but was impressed with the way he moved and the speed he showed. 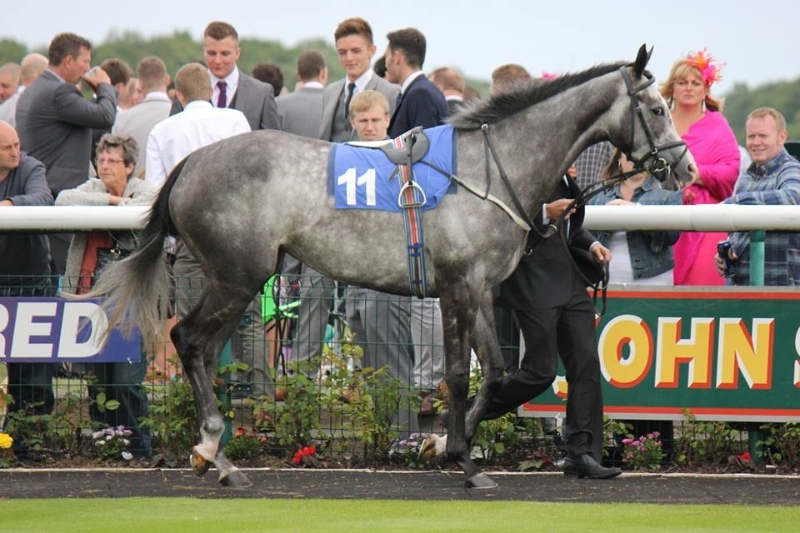 Blue Maisey ran at Beverley on Friday in the seven and a half furlong handicap. Paul Mulrennan took the ride. It was a decent looking race with Sir Michael Stoute sending the favourite up to contest the race. 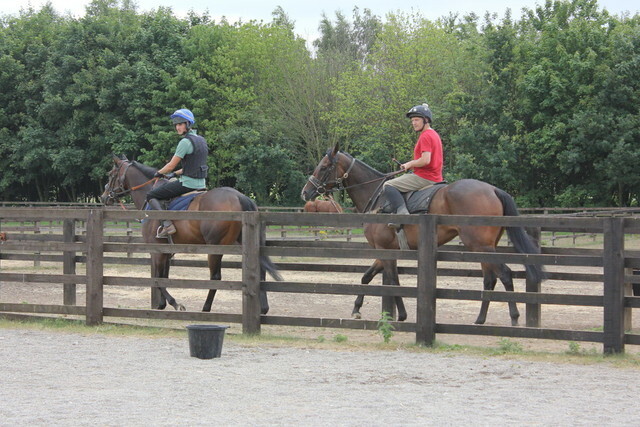 Paul had Maisey tucked up against the rail from the break, rounding for home he had to push and drive Maisey along. Maisey responded and Paul went for a run up the inside of the course but unfortunately this was blocked off. By the time Paul switched Maisey the race was over with several runners enjoying coming up the middle of the track. Maisey finished seventh beaten only 5 lengths. 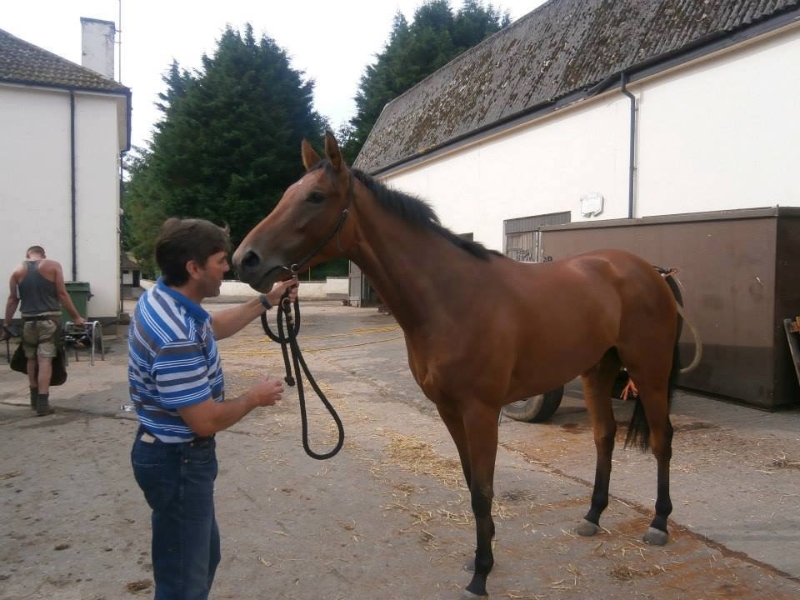 She is due to drop to 65 from next week and Paul Mulrennan stated if returned to a flat track over a mile she would win again. 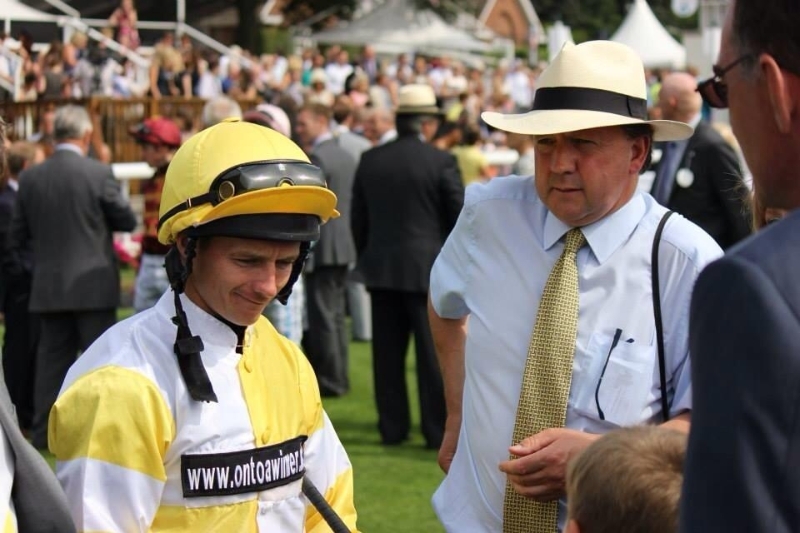 Arch Walker ran at Beverley on Friday in the five furlong handicap, Luke Morris took the ride. He was drawn in stall 8. 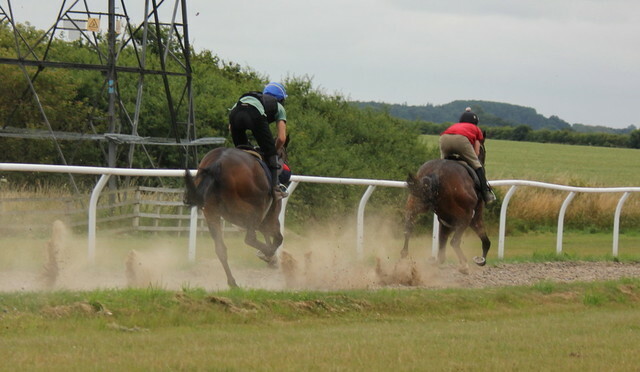 He missed the break slightly but began to make up ground after the first furlong. The leader and eventually winner had set off at a good pace and Archie could never get to them. Inside the final furlong Luke asked for a response but Archie just kept on at the one pace and was overtaken by another couple of horse just before the line, finishing 7th. 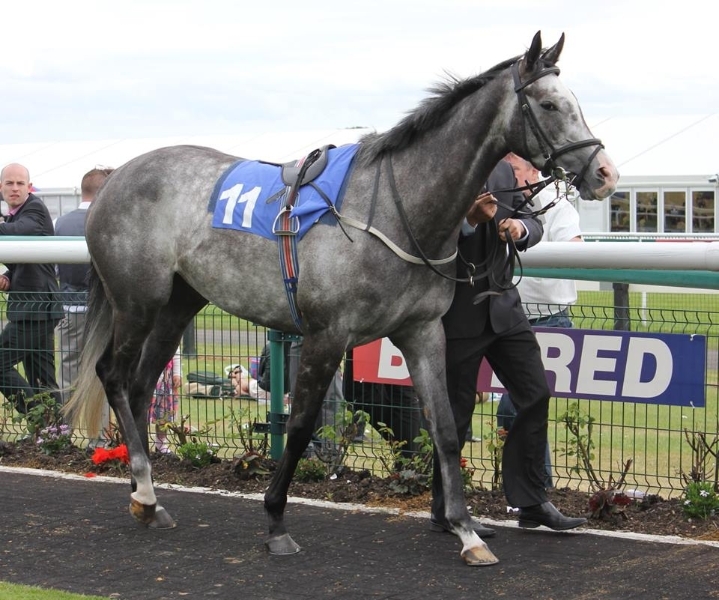 Eutropius ran at Ayr on Sunday and was ridden by Andrew Mullen, the ground was described as good/firm. Breaking from the stalls Andrew tucked him in behind the other horses in around 6th position. Just over two furlongs from home the pace quickened and Eutropius came under pressure but responded really well and began to pass horses. 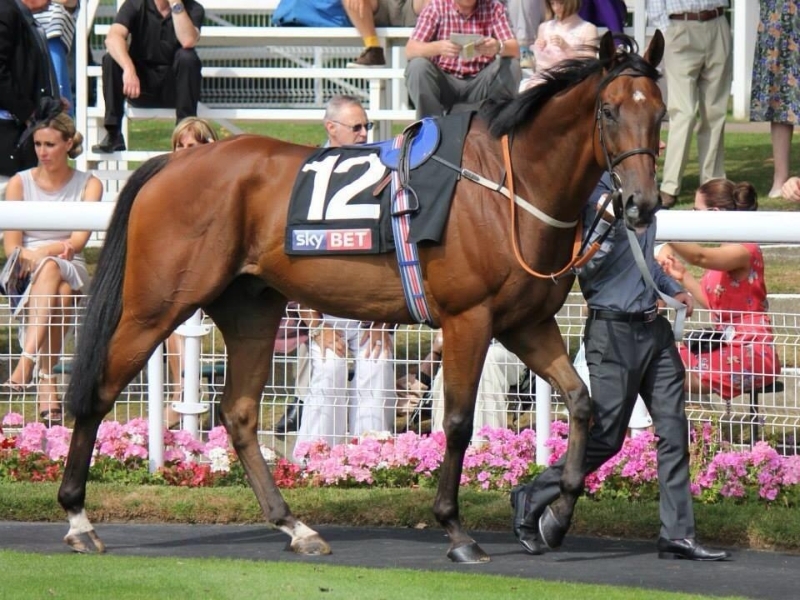 Unfortunately the eventually winner had a dream run up against the rail and had shot 3 lengths clear. Eutropius closed the gap and looked all the while that he would be second but was nabbed right on the line finishing third. A much improved performance and the race looked very competitive with lots of last time out winners. I am sure he can now resume the progress he showed earlier in the year. 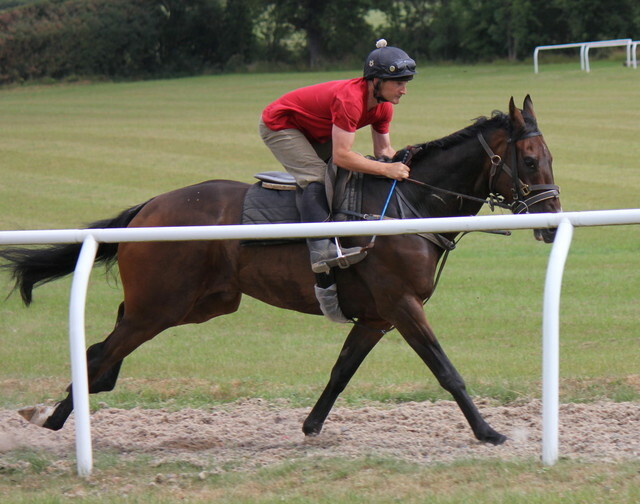 Ticking Katie ran at Thirsk on Monday and was ridden by Danny Tudhope. She was drawn in stall 5 which wasn’t ideal but a good run was hoped for nevertheless. Breaking smartly from the stalls Danny edged over towards the stand side rail. Katie was disputing the lead with a couple of other horses on her inside. 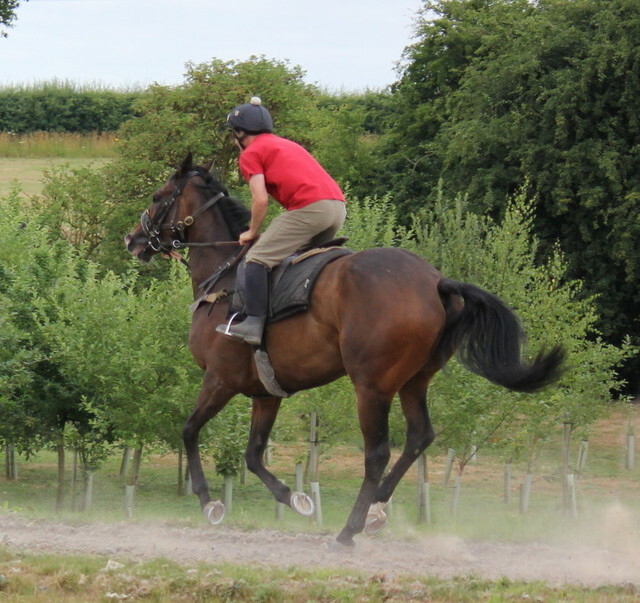 Katie was travelling really nicely and two furlongs out took up the running and went about a length clear. On reflection, and this was backed up by Danny, there was the opportunity to get right across to the rail to close the door on the others. 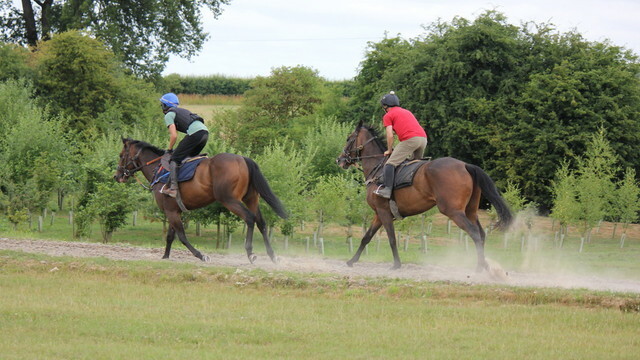 He kept her in a straight line where she was as she was still going well but another horse, hard up against the rail, began to make ground on Katie and with only 100 yards left Katie was joined and then passed by the other horse with Katie finishing second. 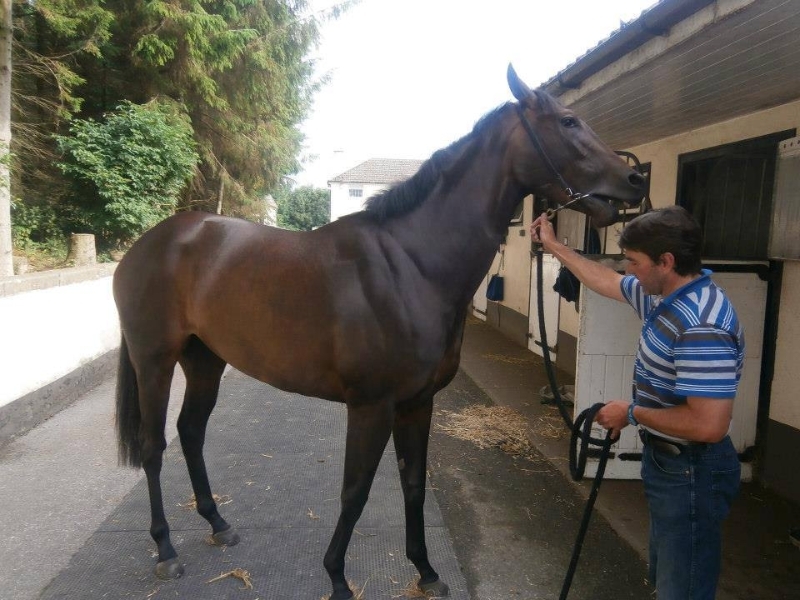 Unsaddling Danny said that he was really impressed with her attitude and she would be winning races, a really pleasing run and lots to work on. We’ll now look for another northern maiden. 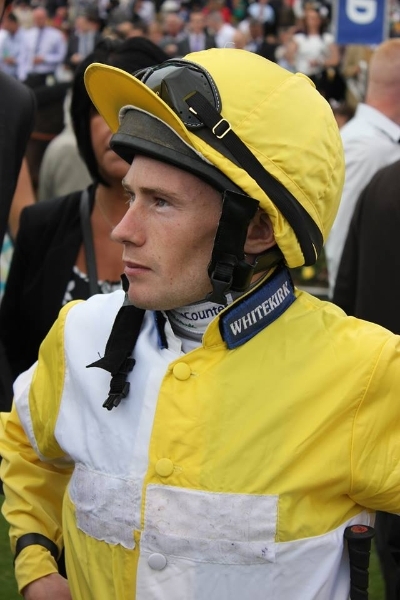 Fast Shot ran at Newcastle on Saturday and was ridden by Paul Mulrennan as David Allan his usual jockey was suspended. 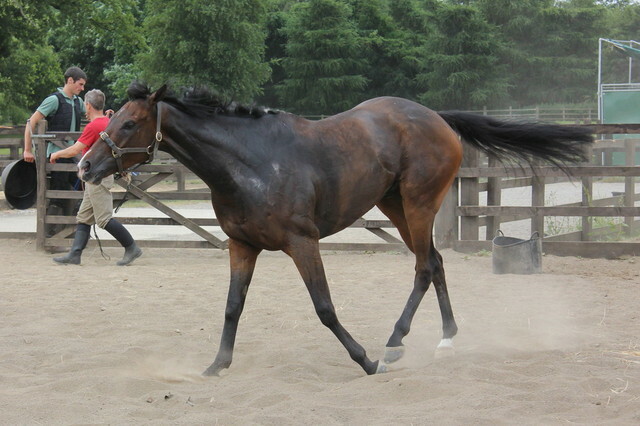 There had been some rain on Friday and the ground was described as good/soft. Fast Shot was trying to defend his crown having won this race last year. 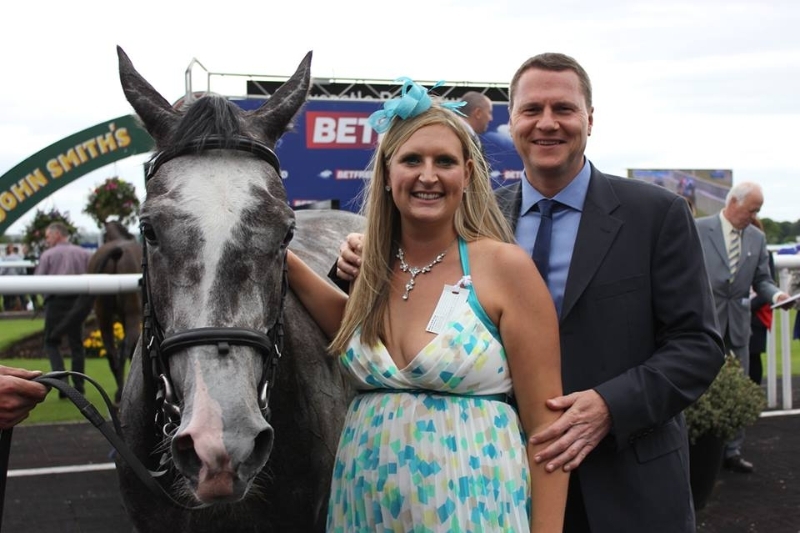 As ever with sprint handicap you need luck in running and sometimes to be drawn on the best part of the course. 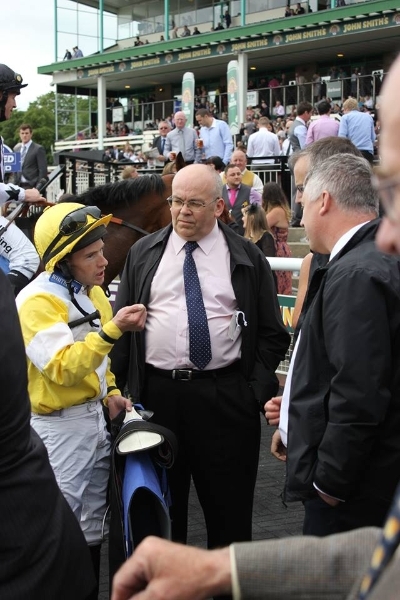 Having walked the course Tim Easterby was concerned about Fast Shot’s draw and told Paul to try and get over to his left as much as possible because he was drawn in the worst part of the course. Breaking from the stall Paul tried to edge over but the other horse inside him kept straight so Paul tried to get Fast Shot some cover. 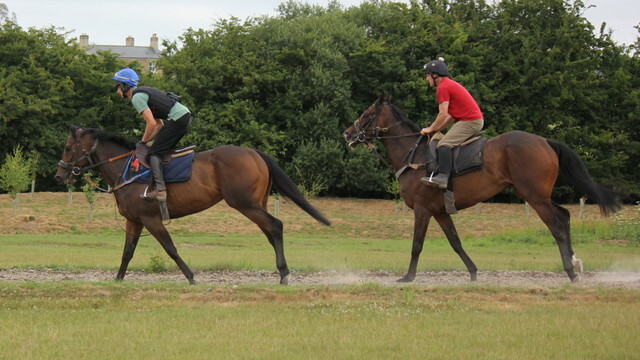 Around two furlongs from home Fast Shot was in the clear and Paul tried to make a move but it was clear the horses left of him were in front by some way. Fast Shot ran on trying all the way but the runners drawn low held sway and Fast Shot finished ninth. 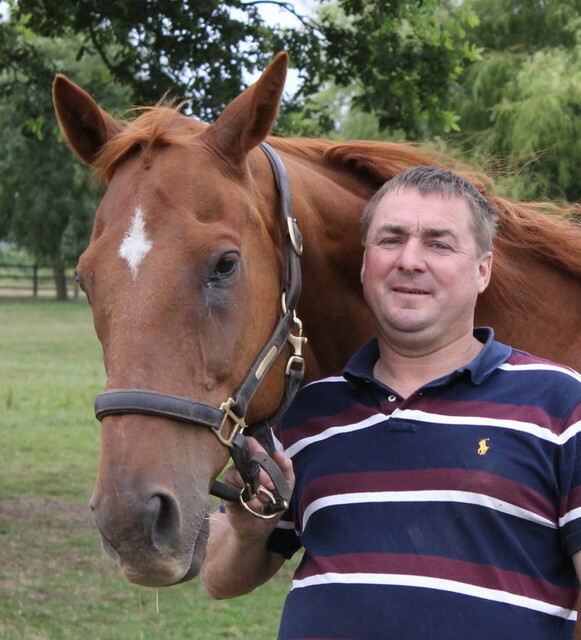 Tim was disappointed and said the horse had been working well at home and to draw a line through this run and move on. 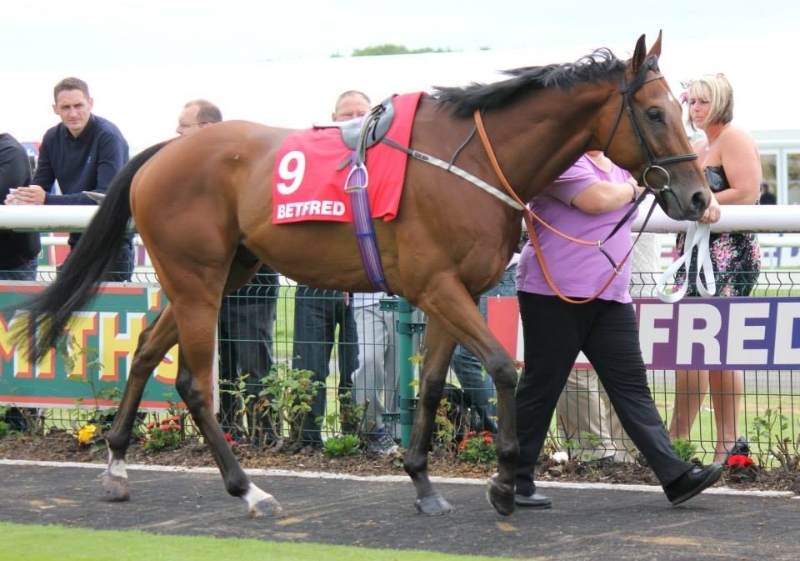 Gold Show ran at Newcastle on Saturday in the 1 mile 2 furlong 0-85 handicap. Declan Cannon rode. The favourite in the race looked to have an outstanding chance but Goldie had worked well during the week and hopes where high for a decent showing. Declan, upon leaving the stalls, tucked Goldie in midfield and as is her usual trait, she was taking a keen hold. The order stayed much the same and into the home straight Goldie was still travelling nicely. 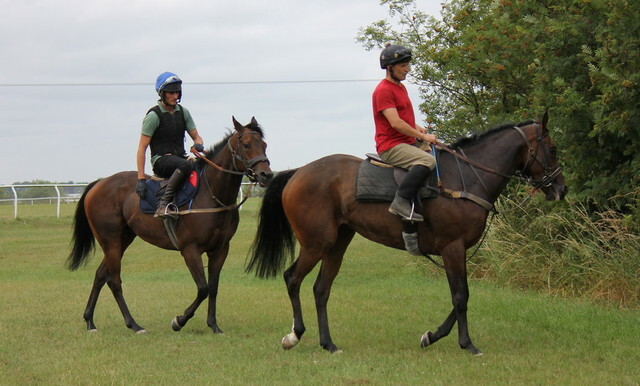 At around the two furlong pole the leader soon dropped away and the field spread out and Declan asked Goldie for her effort , she was pushing for the lead but the favourite came sweeping past and Goldie and another horse fought out the minor honours, with Goldie running on well for third. With a bit more cover until near the finish she could possibly have gone closer but it was a return to form for this lovable grey horse. She is better with a bit more dig.